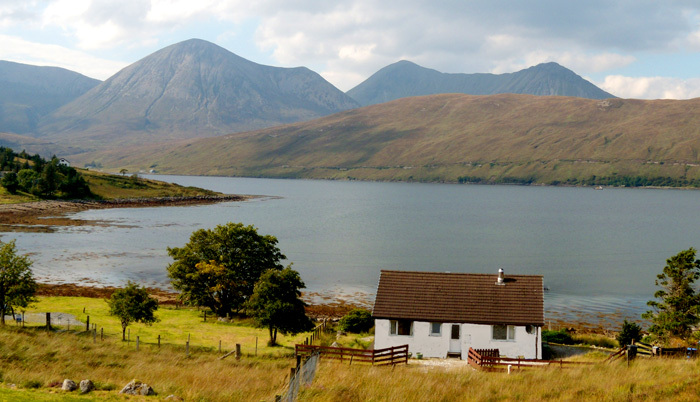 Otters Leap Holiday Cottage, Skye: Availability and Bookings. Bookings are usually by the week from Saturday to Saturday. Details of availability and prices for Otters Leap can be found at www.cottageguide.co.uk, or if you prefer you can simply email us or phone. Please return to this page to make your booking. If you are interested in a week that is not yet shown on the Cottage Guide calendar please contact us directly to enquire. Please contact us to confirm details and make a provisional booking, and we'll reserve the week(s) for you. You should then follow up your provisional booking by submitting a Booking Form. You can click the links to download copies of our Booking Form and Booking Conditions or we can send out copies by email or post if you prefer: just ask! Anything unclear? Just contact us for advice.